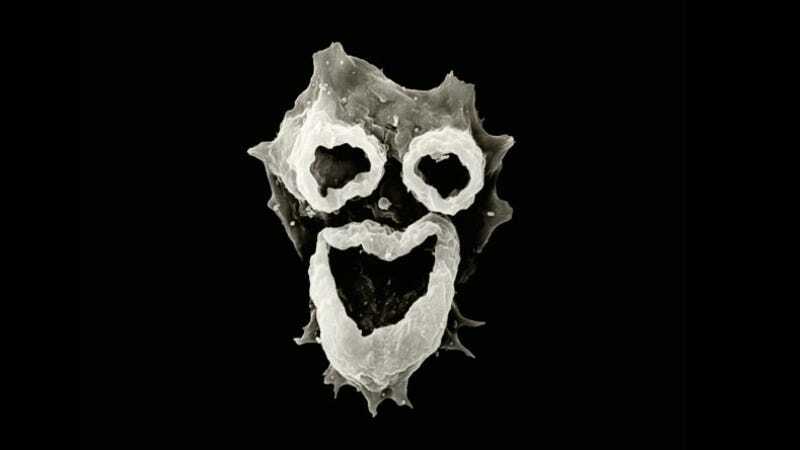 A microscopic view of the brain-eating amoeba known as Naegleria fowleri reveals a trio of feeding structures, twisted into a macabre clown-face. The parasitic organism – which lives in warm bodies of fresh water – has infected 128 people since 1962. Only one has survived. Now, Kali Hardig may well become the second. The twelve-year-0ld Arkansas girl contracted the rare form of parasitic meningitis more than two weeks ago. While most victims die within a week of exposure, the amoeba now appears to be absent from Hardig's spinal fluid. In the last few days, her doctors have been slowly rolling back on the machines used to regulate her breathing and body temperature, lowering the dosage on her sedatives, and taking her off dialysis. As of Sunday, Hardig was responding to questions from family members. In an interview with National Geographic, Centers for Disease Control epidemiologist Jonathan Yoder explained that while N. fowleri infections are very rare, the amoeba – which typically makes its home in the fresh waters of warmer weather states – has started turning up in more northerly regions of the U.S., including Kansas, Indiana, and even Minnesota. Something the NatGeo inerview doesn't touch on is the unique challenge that N. fowleri poses for public health officials looking to increase awareness about its presence. When io9 spoke with Yoder about N. fowleri last year, following the death of two children who contracted the amoeba while swimming in a Minnesota lake, he told us that on one hand, the amoeba itself is incredibly common; a survey conducted decades ago by the EPA found the amoeba in roughly half the lakes it sampled. But infection rates are comparably low. And while current screening methods can tell us whether or not N. fowleri is living in a water supply researchers have no good way of detecting how much of the parasite is actually present. "We can find it in a lot of places, where lots of people swim, but there don't appear to be infections there — or at least none that we're aware of." Furthermore, the inability to quantify the N. fowleri means there's no way to tell if quantity is in any way related to how regularly people are becoming infected. And that creates an interesting challenge, says Yoder, from a public health standpoint: when N. fowleri prevalence is high, but infection rates are low, what do you tell people when you find it? In fact, a more timely question may be: what do you tell people when you find that it's spreading? So what can you do? His advice to NatGeo is the same advice he gave us last year: be aware that the threat exists, however unlikely, especially in the summer months, when water temperatures rise above 85 degrees Fahrenheit. If you go in the water, Yoder suggests not submerging your head. If you do, wear a nose clip. "In some ways they make common sense," he says. "Anything you do to reduce the risk of water being forced up your nose, probably reduces the risk of infection." Oh, and lay off the neti pots, unless you plan on sterilizing your water beforehand.